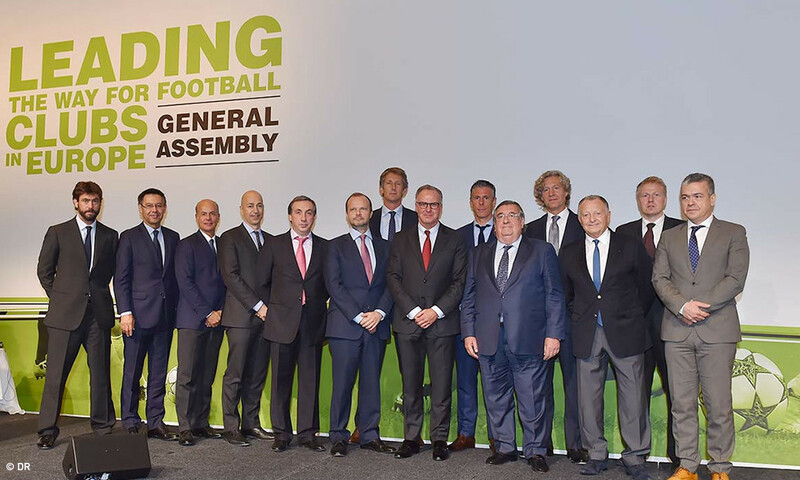 The ECA (European Club Association) held its 15th general assembly in Geneva this week, with a new executive board being elected and new members inducted. Olympique Lyonnais president Jean-Michel Aulas was returned to ECA Executive board for a fourth term, with ECA president Karl-Heinz Rummenigge also voted in to continue his functions with the organisation. Jean-Michel Aulas was elected to represent the clubs from the five countries that comprise the top group (Germany, England, Spain, Italy and France), along with Karl-Heinz Rummenigge (Bayern Munich), Edward Woodward (Manchester United), Pedro Lopez Jimenez (Real Madrid) and Andrea Agnelli (Juventus). Jean-Michel Aulas will continue his efforts in his capacity as president of the ECA's Finance Task Force. He will also continue to direct the Finance Working Group and to preside over the Women's Football Committee. The general assembly also saw 20 new clubs admitted to the organisation - including Saint-Etienne for France - that now represents a total of 220 clubs for a new period of two years (2015-2017).